There’s a common misconception that virtual reality (VR) is just for gaming. 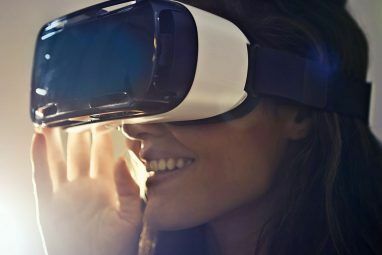 The truth is that VR has far-reaching implications for every aspect of human life This Is What Happens When VR Meets the Real World This Is What Happens When VR Meets the Real World Virtual reality is taking over the world of gaming, but there's a lot more to VR than blasting through space more realistically. Here are eight more real world uses for VR. Read More , and some of the best VR experiences already aren’t even gaming-related at all. Read on and I guarantee you’ll find at least one creative pursuit you need to try in VR. Oculus Medium gives you an endless supply of virtual clay to push, pull, and paint to your heart’s content. Although difficult to use for technical/CAD modeling, Medium is ideally suited to organic objects, where precise measurements are less important. As well all the tools you expect from a virtual sculpting app, it includes a number of ready-made objects to import. Rubbish at sculpting? By downloading other people’s creations, you can use all the tools to “remix” them. Don’t worry about making a mistake: there’s an endless undo function. 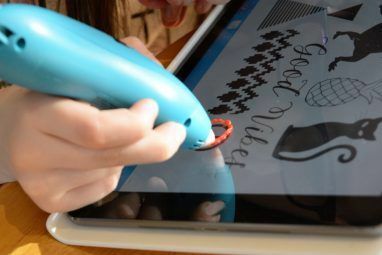 Objects created in Medium can also be exported to other standard 3D modelling packages for more detailed editing or even 3D printing (check out our top 3D printer picks). Oculus Medium is free when you add the Touch controllers to your Oculus account. Vive users can use ReVive to access Medium, but may struggle with the controller mappings. Also worth checking out: Google Blocks, which is based more on the concept of combining and modifying primitive shapes than pushing around virtual clay. The results are simpler, but the software is slightly easier to learn. Developed by Google, Tilt Brush is free on Steam. There’s very little that needs explaining about Tilt Brush: it’s painting, but in 3D. I’ve demoed Tilt Brush to many people now, kids and adults alike, and the look of amazement as they realize they can get up and shift perspective is priceless. The next thing to amaze them is the sparkle brush. Yep — that’s a thing. Sparkles, fire, and sound-reactive rainbow brushes are all included in the extensive feature set. Again, if you lack the creative ability to paint, you can download others’ creations. But what’s really neat is that you can watch them paint the whole thing from scratch, in real time or sped up. If only Bob Ross had VR, we could all be painting happy little 3D trees. No other game has been as successful in getting kids to endlessly construct, so it would be remiss of us to not mention Minecraft here. The VR version of Minecraft is fully featured and offers everything that the regular version does. It’s a free upgrade for anyone who owns the original, and fans will love the ability to feel the scale of the structures they build. However, we recommend the unofficial third-party VR mod, ViveCraft, which requires the original Java version of Minecraft rather than the Windows 10 universal app. It supports mods, has more features, and has less of a reputation for making people sick than the official Microsoft version, which is always a good thing. There are few VR games that have kept me entertained for hours at a time, but Minecraft is one of them. Feel like you’re too late to jump in? Check out our latecomer’s guide to the game The (Latecomer) Beginner's Guide To Minecraft The (Latecomer) Beginner's Guide To Minecraft If you're late to the party though, don't worry - this extensive beginner's guide has you covered. Read More . If don’t have an ounce of musical talent, but still want to enjoy the benefits of creating music and being a DJ, Jam Studio VR ($20 on Steam) is perfect. Rather than giving you a blank canvas and throwing you in at the deep end, you begin your musical journey by choosing from around 20 different track packs (with more available to download). There’s a wide range in the core package covering everything from jazz to electronica. Each pack consists of 12 different tracks, presented as icons or 3D instruments you can reach out and grab. Some are simple effects, while some are complete instruments that only play when you touch or loop them. For instance, touch the guitar to play one note, touch again and it’ll play another note which fits the backing track — a bit like a game of Guitar Hero or RockBand. Touch and hold to keep looping that instrument. Mix together all the available instruments you like to create your own unique masterpiece. Record the output, or just freestyle. Although ultimately limiting and likely to frustrate those looking to “properly” compose music, the game has enough tracks included that casual users shouldn’t get bored, and we suspect you’ll soon be buying the metal DLC created with Megadeth star David Ellefson. It’s also oddly therapeutic. In fact, the app comes with a complete lesson plan and therapy guide. It may be a niche market, but for carers of special needs children and adults, Jam Studio VR should be a storming success. But really, this is one VR experience that everyone can enjoy, kids and adults alike. Also worth checking out: SoundStage. If you do have some musical talent and are looking for a more professional solution to actually create from scratch, SoundStage is probably more up your alley. But be warned: if the thought of plugging in the output of a sine wave generator to a reverb module doesn’t excite you, stick with Jam Studio. Unfortunately, Google was so impressed that they snatched up the SoundStage developer. It feels like they’re pushing to develop a full suite of creative VR apps, but what this means for the future of SoundStage is uncertain. The app is fully working and complete, but there are unlikely to be future updates or bug fixes, so we’re hesitant to fully recommend it. Available for free from Steam Early Access, Mindshow Alpha is already impressive bit of software. It’s a unique animation concept for up to three characters, where you play all the parts, capturing motion using your VR headset and controllers. Simple, really. Set the scene, then add some props. Choose your first character (you can have up to three). Use the “jump into” button to inhabit the character. Some characters include their own voice filters, but for those that don’t, or if you just don’t want to use the filters, use your own silly voices. Hit record to act out that character’s part for up to 30 seconds. If you have “actor’s block,” you can choose from a handful of starter scenes. They include the first character’s part pre-recorded, giving you a sort of writing prompt. When you’re happy, add in a second character. Now, when you jump into and record their part, your first character’s part will be simultaneously played back, allowing you to interact and talk to them (assuming you got your timing right, which can be tricky). Repeat with a third character, if desired. Finally, you can add a handheld camera with built-in stabilization if your scene could benefit from that style. Or just specify a fixed camera angle. Hit Export and the whole thing will be output as a web-ready video. The in-app selection of characters, items, and environments is somewhat limited, but we expect more with each new release, or eventually monetized with DLC. For now, everything is free — just don’t expect it to stay that way forever! You can get around the 30-second limitation by simply recording your parts in smaller bits, then exporting and combining in an external editor. Of course, making stuff isn’t the only way to be creative. Dance Tonite is amazing not just because, it allows you to record multiple parts asynchronously, but because the entire thing runs in your browser and has something for everyone — even if you don’t have VR. Just go to the site now, it’s okay, we’ll wait. Hint: You can hold down your mouse button on either the ball camera or any VR head to switch to that point of view. Of course, the demo is best experienced with a VR headset and tracked controllers, which allow you to record your own dance motions and even publish them; but it degrades gracefully so that those with a standard mobile VR headset can still playback others recorded dances, and even if you don’t have VR, you can just watch the entire thing in your regular web 2D web browsing way. Ok, maybe we cheated with Minecraft, but it has a freeform mode that’s all about creative stuff. And just think: all these amazing VR apps are the first generation. 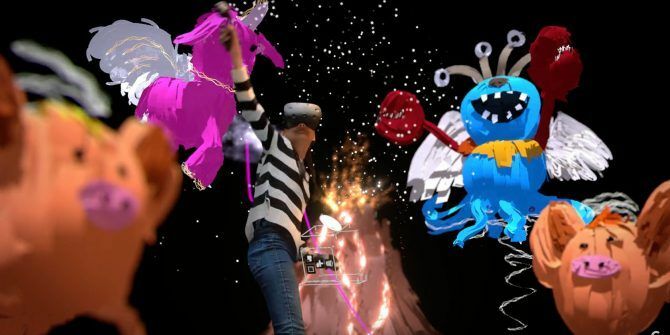 Who knows where creative VR will be in five years? Creativity and VR are a perfect match: tapping on a keyboard to play a virtual drum has never felt right. But emulating the real world will only get us so far. It’s the creative apps that take us beyond what’s possible in real life where the magic really lies. What’s your favorite creative pursuit in VR? What sort of creative VR app do you think is missing? Explore more about: Digital Art, Virtual Reality.